One of the most difficult things for a sales person to say is, “I don’t know.” Whether they work for an organizer or are on the exhibitor’s front line, acknowledging that there is something they don’t know is difficult to acknowledge. In countless training sessions I taught the correct response is to say, “I’ll look into that and get back to you.” Yet in spite of this and all the hours’ role playing, the dreaded, “I don’t know,” remained elusive. Gen Y’s simplistic approach may be the winning tool needed to overcome the fear that many have of being faced with not having an answer. On April 28, I will be conducting a webinar for the UFI Education Center called “What the shift in demographics means to the exhibition industry.” I hope you will all attend. 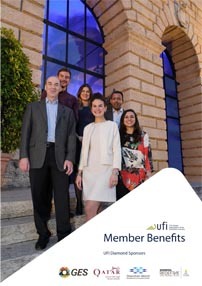 To register visit the UFI website and open the Education Center. Once you have entered your ID and password, you will see the webinar information. This webinar will be helpful for you and all your staff.